I’ve been a bad boy: I disappeared from my blog without notice for three days. I can only plead a very busy week, work-wise, probably the busiest since I started this job almost two years ago. Next week promises to be much more reasonable. Anyway. It’s Friday. 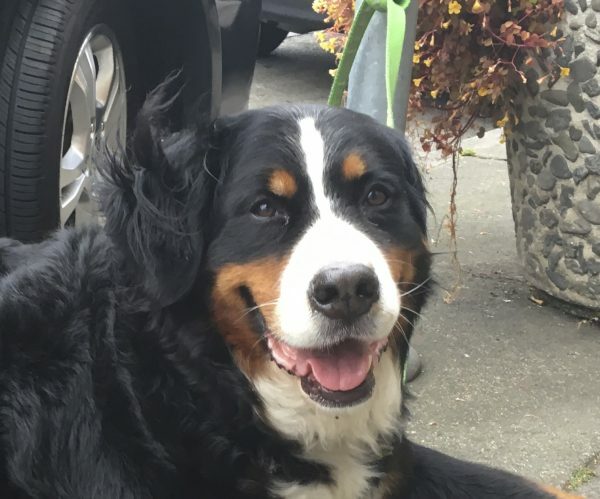 Have a Berner. Ear-fur whipping in the wind. 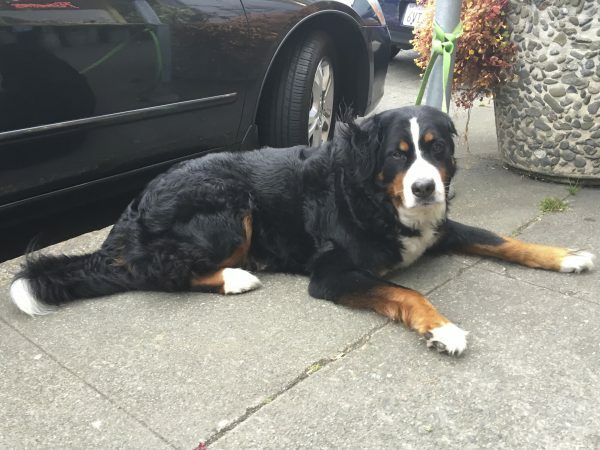 This entry was posted in Dog of the Day and tagged Bernese Mountain Dog, Cow Hollow, Fillmore Street, Marina. Bookmark the permalink.